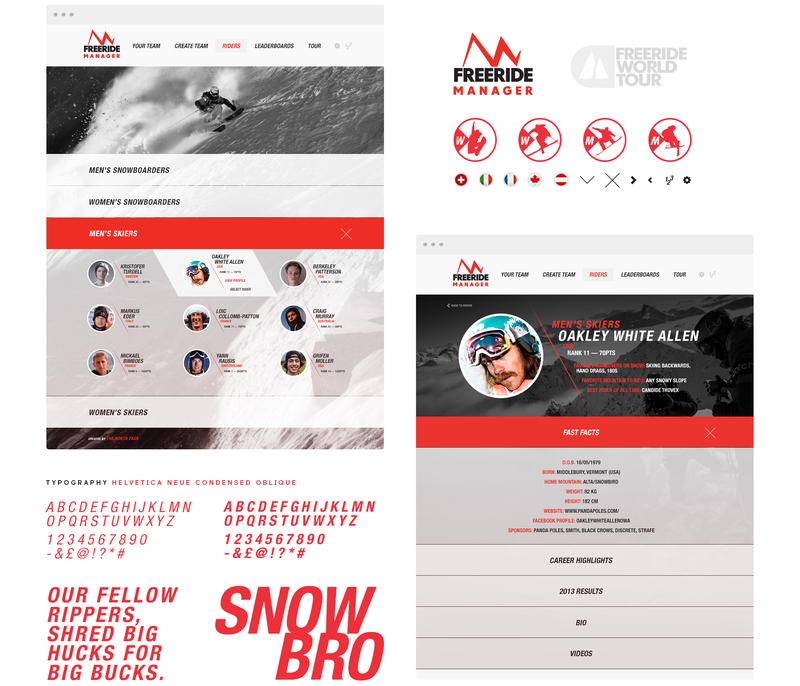 Approached to design and build The Freeride Manager, we set out to create a platform for users to select and coach their own fantasy ski and snowboard team, following the athletes as they traversed their way from epic mountain to epic mountain. A mobile-first approach enabled the users to follow the tour even if they were halfway up a mountain, or live at the events themselves. Select a team – two skiers and two snowboarders – challenge your friends and other coaches, earn points to climb the leaderboard, trade athletes and follow each stage of the tour in a fun and engaging way. We developed the site from the ground-up. 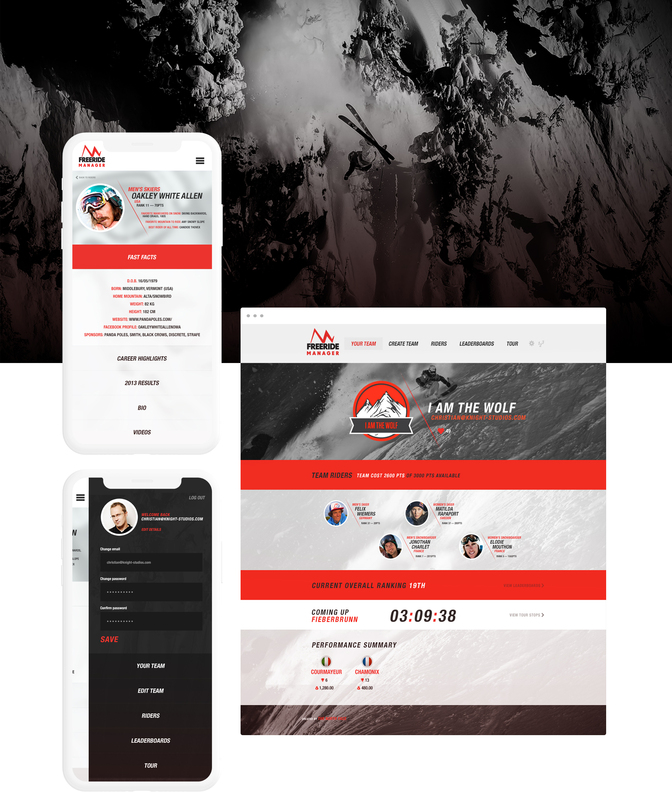 Creating a design aesthetic that was both on-brand for The North Face and the Freeride World Tour, while also being inspiring and captivating for the user, compelling them to come back again and again to do battle. As part of the team creation process, the website had an area for team badge creation, where the user could combine through layers a number of elements to build and save a unique crest. 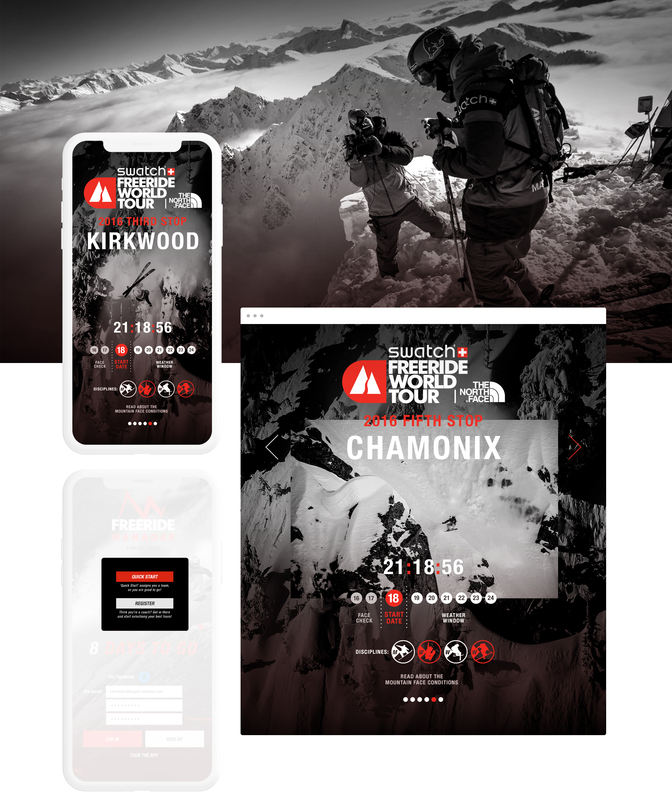 The site was hugely successful, keeping users engaged throughout the tour season – where normally there may have been a drop off in interest between the tour stops, the Freeride Manager coaching game kept their interest levels up, leading to record interaction across other tour touch-points.